Growing up in Abilene, Texas was not as thrilling as one might think. I was a girl with a streak of tomboy. See, I loved sports. While my older sisters played softball, volleyball, and basketball, I loved watching them play. I carefully learned the rules and dreamed of being the one who hit the walk off home run in softball or served the last ace to win the volleyball match. Unfortunately, I was born with an intense fear of being hit by the ball — any ball. I was a tall kid, a bit lanky, and did not have a competitor’s body, skills, or confidence. Although I loved the idea of participating in sports, my awkward body and fearful brain made it nearly impossible for me to excel in any sport. I tried my best to rise to the challenge of playing softball, volleyball, basketball and other sports. But every time, I feared any ball coming my way would hit me. I’d throw up my hands, wince, close my eyes, and ultimately not catch the ball. Quickly, the other teams noticed that I was the weak link in the chain and purposely hit the balls in my direction. Instead of being a team hero, I was the one that no one wanted on the team. When my father and an older sister saw my frustration, they started practicing catch with me. With their kindness and care, I realized that I could control my fear of getting hit by the ball — by catching it! If I caught the ball every time, it would not be able to hit me. Amazing! I was given the keys to the kingdom. Now that I was armed with logic and calculation of how to win, my love for all sports flourished. Later, another older sister taught me to play racquetball. Though I wasn’t very good, I loved the sport because it’s a great way to release your frustrations. You can hit the ball as hard as you want and never have to chase it out of bounds. During the first three years of moving to San Antonio for medical school, I didn’t even touch a racket. In my fourth year, I suddenly found myself with some free time. I found a racquetball coach who taught me the skills and finesse of the game. With excellent coaching and a lot of hard work and practice, I improved and began playing in tournaments. 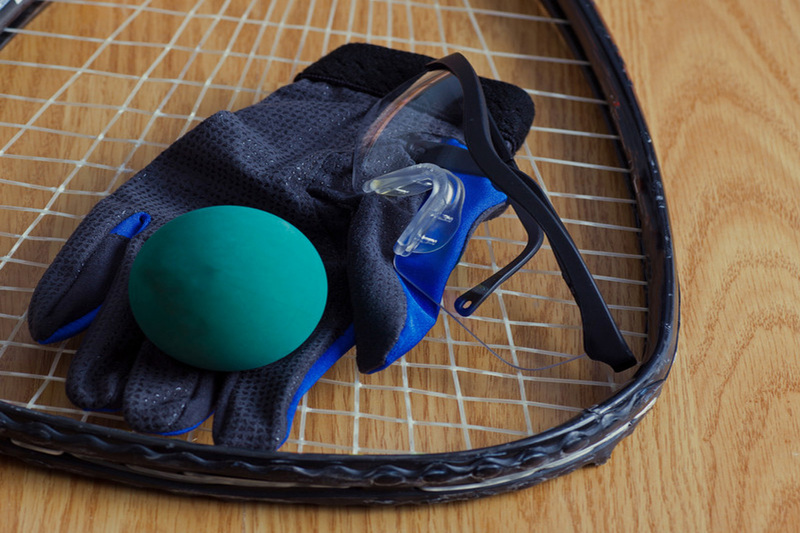 Racquetball players are grouped in tournaments by their skill level — Novice, D, C, B, A, to Open-level players. Over several years, I rose to rank 4th in the Texas Women’s Open. And that’s not all. I ultimately met my husband through racquetball. We’ve been married almost 15 years. This has remained true for me for many years.